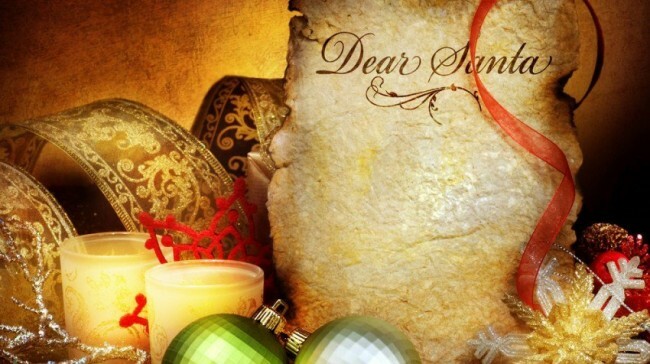 As we gear up for the holidays, we ultimately start thinking of what to get people. Whether you are traveling for the holidays, are one of those people who have a hard time making a holiday gift list or you’re doing some holiday shopping for the businessperson who seems to have it all, there are many new gadgets available. The following is a list of tech gadgets gift ideas I recommend for you or any other businessperson on the go. This palm-sized device fits into your luggage and has worldwide location reporting through your cell phone. You can connect multiple cell phones to one device or track multiple devices from one cell phone. It will send you an SMS text message or email upon arrival with the location of your luggage and help you find it when you are within 160 feet of it at the baggage claim. You can also track your luggage location history online at the Trakdot website with your PC. The cost is $59.95 with an $8.99 activation fee and $12.99 annual fee. Optional Mobile Application: There are mobile apps available for iOS and some Android devices (Note 2, Galaxy S3, S4). Battery Operated: Requires 2 AA batteries. What to say? 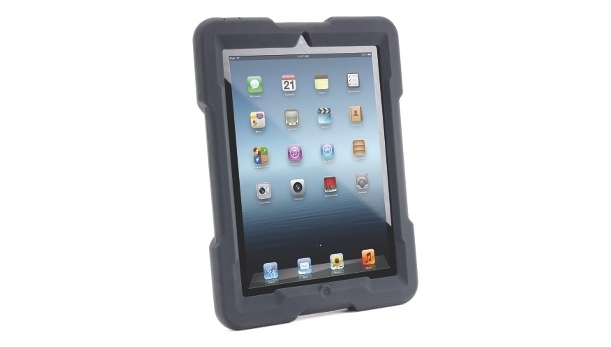 This tough case for iPad is what you need if you worry about dropping your iPad on a hard surface. I have tested a lot of cases and this one was built to take some punishment, inadvertent, of course. It is a bit heavy, but took the bounces and hard jolts I gave it. Comes in pretty colors, too. If you are tired of trying to decide which device you want to charge first, this offers an option to charge two devices via one electrical outlet. They created a flat plug, in essence, that nestles flat behind anything else you want to plug in. 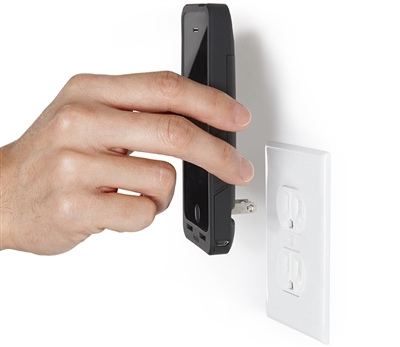 This surge-protected USB outlet rotates 270 degrees for convenient charging. Price: $17.95. It’s pretty cool. Mobile Devices: Supports most mobile devices including MP3 players and Smartphones. Tiny: Fits into any briefcase, purse, laptop bag, or backpack. Whether you are traveling by airplane, bus or train, you can use this device to mount your Smartphone, media player or compact ereader tablet on the tray table of the seat in front of you. It fits over the seatback latch and grips it to provide a secure stable mount or acts as a freestanding device stand on tray tables. This gadget can allow adults to have one more hands-free data sources open or keep children entertained. It’s $29.99. Adjustable Angle: Allows you to position your device for comfortable viewing. Adjustable Cradle: Fits devices up to 5.25” x 8” (13.3 cm x 20.3 cm). The Travelpak is a sleek, powerful external battery with an integrated AC adapter that is compatible with most USB-based devices. It is also an integrated AC adapter that allows users to charge two USB-based devices concurrently while the battery is plugged into an outlet. The USB ports are compatible with most tablets (2.1A) and smartphones (1A). The price is $44.95 to $49.95. I included these guys in a previous battery roundup. Two battery strengths: You can purchase a 4,000 mAh or the longer lasting 7,000 mAh (Travelpak Plus). LED: There is an ambient status indicator lights that can double as a nightlight or mini-flashlight. Safe Skies offers a wide variety of cable locks, luggage straps, combination locks and padlocks to protect your luggage. Their locks give travelers peace of mind while traveling and come in a variety of designs, colors and styles to meet every need. These all come with a guarantee that they will not be clipped at the airport. If your lock is clipped, it will be replaced by Safe Skies free of charge. They range in price from $8.95 to $20.95. Baggage Screener Torch (this is the logo/symbol that stamps it as TSA approved): Allows baggage screeners to identify, open, inspect and relock your luggage with ease. International Recognition: Locks are accepted and recognized by TSA and Her Majesty’s Revenue and Customs of the United Kingdom. Who can argue with the Queen? This car mount allows you to position your Smartphone or similar device in an easy access position on your windshield. The locking suction cup and reusable adhesive pads provide a secure mount and won’t leave sticky residue behind. It offers an adjustable arm and doesn’t take up a lot of space on the window. Price: $34.95. Compatibility: Works with any device with a screen size of up to 5.5” (iPhone, Blackberry Z10, HTC One, Samsung Galaxy S4, Note 2, etc.). Lightweight: It is only 4.4 oz. You can directly stream music and more from your mobile device using these Bluetooth headphones. These are not earbuds, but actual over your head stereo headphones with a lightweight, foldable design. Honestly, this is one of the first headphone sets I have found to be truly comfortable. In fact, I had to give up my pair to my wife who fell in love with them. The built-in microphone cancels noise and will automatically pause music when you receive an incoming call. Their price is $49.99. Bluetooth Enabled: They can connect to any Bluetooth device to provide wire-free and hands-free audio. Battery Operated: The integrated rechargeable battery lasts for 10 hours of continuous audio or 200 hours on standby. This is an app for your iOS that will transform your mobile device into a sleep system. It is designed to provide restful and restorative sleep for travelers to counter jet lag and fatigue. Using both calming sounds and patented Dreamwave Technology, it activates your brain’s “deep sleep” response and delta waves so you can get the rest you need. The initial app is free (for a limited time) and comes with three calming sounds preloaded into it. You can purchase additional sound packages for $0.99. Airplane Mode: All the apps work when your device is set on airplane mode. Customizable: The easy-to use interface allows you to adjust both the background audio and the length you would like the program to run. Griffin’s iTrip was designed to turn the audio from your Apple device into a FM signal and transmit it through your car radio. The iTrip Auto uses this technology and acts as a charger and an inline remote that allows you to play/pause or go forward/backward. It uses SmartSound technology to maintain the highest quality of sound by adjusting signal levels. The one-button setup finds the best open frequency for you with SmartScan but also allows you to tune traditionally. The cost is $59.99. Programmable: Lets you pre-set your most frequently used settings. App Integration: A free download from the iTunes App Store allows you to integrate with your iPhone and iPod touch. The PocketPlug solves two problems with one device. It is a sleek, durable, lightweight case for your iPhone and it is a portable charging solution with a retractable plug. It also includes an integrated USB port to provide for any additional charging needs. It automatically enhances the audio of your device by redirection of sound from the speaker to the front. The price of this two-in-one device is $59.95 – $69.95. Compatibility: There are two models: One for the iPhone 5/5s and one for the iPhone 4/4s. Color Selection: It comes in black or white. You can convert an ordinary bottle of water into a humidifier, mister or aroma diffuser to create a relaxing, soothing environment with this device. It attaches to the top of most water bottles or glasses and adds moisture to the air, providing relief for coughs, colds, itchy dry skin, chapped lips and other maladies caused by dry air. Filters should be changed every 3 months depending on how frequently it is used. The humidifier is $29.99, and filter replacements are $4.99. Unique: It might just help you breathe easier if you are in a tough spot. Low Power Consumption: It automatically shuts off after 8 hours and uses only 2 watts of power when it is operating. USB Powered: Uses a USB 2.0 or 3.0. Tether it to your laptop or an auxiliary battery (see link above). Marketed as your “on-the-go SmartCloth,” this travel-sized tech cloth is engineered to clean glasses, camera lenses, smartphones, laptop screens and other sensitive devices. Made from 100% microfiber, each cloth has both a plush side to clean and silky side to polish your gadgets. It folds into a neat pocket-like package with an elastic band that attaches easily to any key chain, purse, or backpack. Each one is $9.99. Easy Care: It says you can machine wash it and dry it, but I just wash mine by hand and hang it on something to air dry. Style Choices: If you need stylish ways to clean your glasses or screens, this is it. If an in-ear headphone can be ergonomic, these are it. These earbuds start at $48.00. Precision acoustics, hip and snug design. Love ’em. Comes with a little case to protect your investment. If you need something a little more light-hearted, perhaps even as a joke, then check out three of these four items from blogger Shaan Haider, including the PC Prankster. What will you get that business owner, executive or tech gadget enthusiast who has everything this holiday season? Check out our Business Gift Giving Guide for more tips about holiday trends.